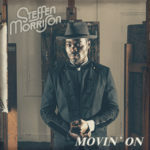 It is artists such as Steffen Morrison that keep the old soul sound alive and give it a new and exciting twist. With his belief in and passion for the genre he is able to surprise and convince nearly everyone. Steffen was raised with the tunes moves & grooves of James Brown, Otis Redding and Marvin Gaye as well as the harmonious tones of The Crystals, the rock of The Rolling Stones and the lyrics of Lou Reed. His musical background consists of a wild mix of influences to which he adds his own ingredients. With his passionate performance he not only surprises and seduces just the music fanatics, his appearance and sound appeals to a very broad audience. September 2016 marks the release of his EP Just Another Man, containing the successful single Do It All Again. Steffen recorded this EP together with well-known Dutch songwriter and producer Tjeerd Oosterhuis after which he presented his newest music in a brimming Paradiso. Later that year Steffen did spectacular performances at, amongst others, the Uitmarkt in Amsterdam. Steffen has also performed multiple times in Dutch prime time tv show De Wereld Draait Door as well as at several radio stations like Radio 2 and 3FM. In January 2017 Steffen released the catchy single All For You, which he once again recorded with Tjeerd Oosterhuis. Shortly after the release Morrison and his own ‘Band Of Brothers’ put on a spectacular show at the showcase festival Noorderslag. Besides all of this Steffen played the main role in theatre production I’m A Soulman last year. The play is based on the remarkable story of the legendary STAX record label and features Steffen singing multiple STAX classics. In the fall of 2017 Steffen retreated to the studio surrounded by his musical buddies Andy Platts (Young Gun Silverfox), Luke Juby (Emeli Sandé, Leona Lewis) and songwriter/producer Tjeerd Oosterhuis to work on new music. 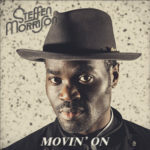 The result is the album Movin’ On which was released in March 2018. “During the creation of my new album Movin’ On I realized how important the interaction between me and my audience is to me. I have experimented a lot with the songs during my shows before I put them on the album. It was important that the songs gave off the same vibe as my live shows. 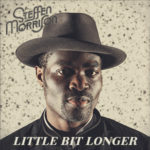 I’m really proud of the result,” explains Steffen Morrison.